Herefordshire, England, 17th March 2017. Clean water advocacy charity, Hope Spring water is urging its supporters and the public to send an ecard, instead of a traditional mother’s day card, when sending a mother’s day greetings this year. Ecards are significantly cheaper to send than traditional greetings cards. A traditional mother’s day card plus postage could on average cost £3 or more, while sending an ecard cost a fraction of that. 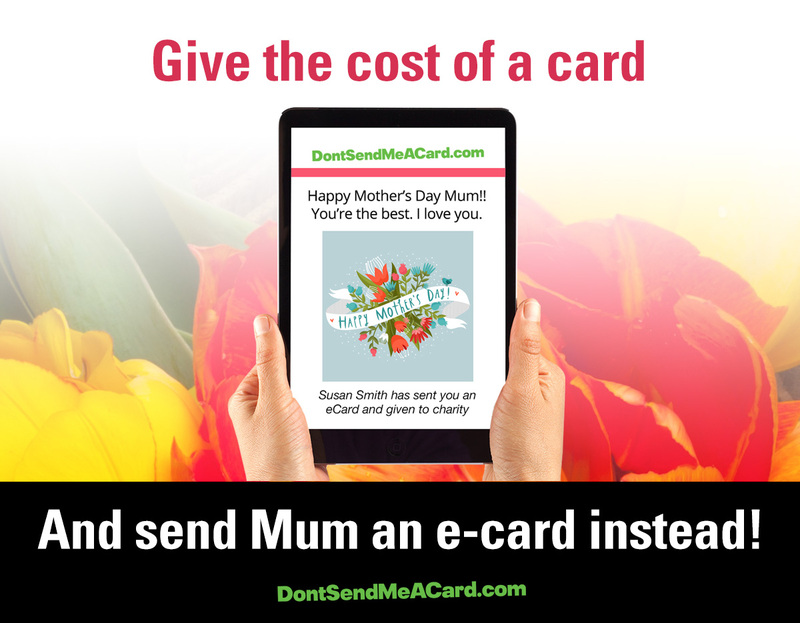 In partnership with DontSendMeACard.com, Hope Spring Water have developed a platform, which allows their supporter and the public to send an ecard, for a donation to Hope Spring. Sending a mother’s day ecard, using Hope Spring Water & DontSendMeACard.com platform is a win win situation for all. The ecard sender get to send a beautiful well designed ecard for mother’s day. He is a little kinder to the environment in the process. The mother receives a greener mother’s day greetings and Hope Spring Water gets a donation to continue its good work. Information and link to the page where Hope Spring supports and the public can send an ecard and donate the cost of postage to Hope Spring can be found on their website. Additional information about Hope Spring can be found here. You can connect with Hope Spring via their Facebook page. * For more information regarding media usage, ownership and rights please contact Hope Spring Water.